Your roof is easily the most important surface of your home, and anytime you find yourself in need of high-quality roofing services to help you keep your Holbrook home's roof in top shape, you want to be sure you have the name of a skilled, local roofing contractor you can trust to get the job done, and get it done right. 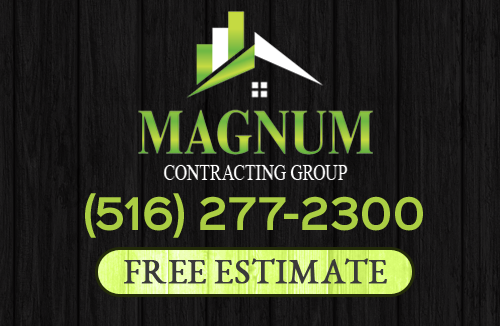 Here at Magnum Contracting Group, we are the premier roofing contractors the Holbrook area has to offer, and our team of skilled professionals would be happy to provide you with the comprehensive services you need to keep your home's roof in top shape year after year. Are you looking for a professional Holbrook roofing contractor you can trust to provide you with the dependable roofing and remodeling services you need to keep your home looking and performing its best? If so, give our team of skilled professionals a call today and let us show you the level of quality service that's helped make us one of the area's most trusted names in comprehensive roofing services. Here at Magnum Contracting Group, we understand that your home is likely one of the largest investments you will ever make, and as such, you want to be sure your home is getting the kind of care and attention it needs to continue providing you and your family with a safe, comfortable, and visually appealing space to call home, and our team of skilled Holbrook roofing and remodeling contractors would be happy to help you do so. We offer a comprehensive lineup of high-quality services, including roofing repairs, bathroom and kitchen remodeling, and even insurance restoration services to help you get your home back in order in the wake of a damaging storm. If you have any questions about our full line of high-quality roofing or remodeling services, or if you would like to schedule an appointment for consultation, give us a call today. Our team of experts are always standing by and would be happy to assist you in any way we can. Contrary to what many homeowners might believe, your bathrooms are easily some of the most important rooms in the house. Between getting ready for work and school in the morning, getting ready for bed at night, and all of the various stops throughout the course of the day, your bathrooms are some of the most used rooms in the home, and as such, doesn't it make sense for your bathroom to be a room you can enjoy spending time in? A high-quality bathroom remodeling project can be a great way to help you transform that old bathroom space into the kind of tranquil sanctuary you've always wanted for your home. Whether you're looking for new cabinets to expand your storage, a new shower or tub to enhance your relaxation experience, or you're just looking to expand your bathroom space and give yourself a bit more room, our team of skilled remodeling contractors can help you get the job done. If you are looking for a professional Holbrook roofing contractor or remodeling company, give Magnum Contracting Group a call today at 516-277-2300 or complete our online request form.